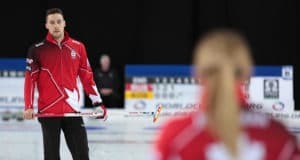 While the turn of the calendar from September to October usually indicates curling season is entering full swing, the weather outside Calgary’s Curler’s Corner Autumn Gold Curling Classic decided to make it blatantly clear that it was time for everybody to get on the ice. Record-breaking snowfall in Alberta has turned much of the province into a winter wonderland, even though the fall is only two weeks old. 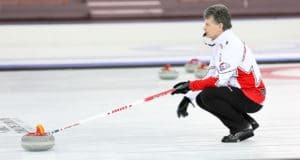 Curlers attending the Calgary Bonspiel will need to pack their parkas and snowshoes as the city was covered in 15 to 25 centimetres of snow in the days prior to the events. But starting this morning, some of the best curlers in the country made their way to the Calgary Curling Club. Reigning world champion Jennifer Jones (Winnipeg) and 2018 Canadian Olympian Rachel Homan (Ottawa) are both in the 32-team field. Kerri Einarson’s Winnipeg foursome is also in the mix, having won three events already this season. Chelsea Carey (Calgary), Allison Flaxey (Winnipeg), Tracy Fleury (East St. Paul, Man. ), and Laura Walker (Edmonton) are also competing for the Autumn Gold crown. There’s also a healthy international contingent featuring USA’s Jamie Sinclair, Japan’s Satsuki Fujisawa, South Korea’s Un-Chi Gim, and Russia Alina Kovaleva among others. The triple-knockout event will qualify eight teams for the playoffs, and offers a purse of $50,000. 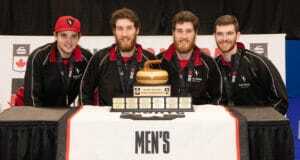 In Toronto, several of the top men’s teams are competing at the StuSells Toronto Tankard, being held at the Royal Canadian Curling Club. 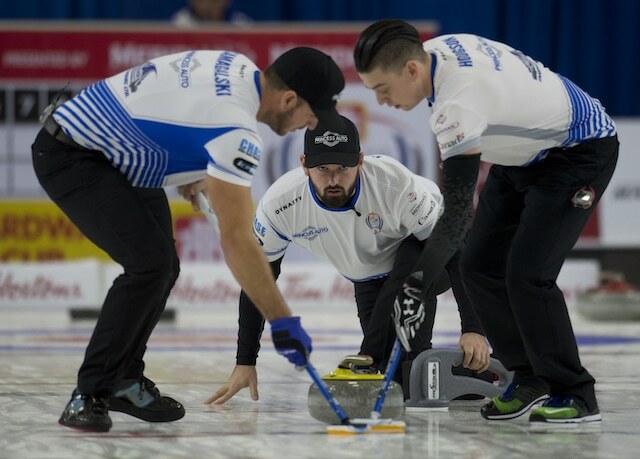 Twenty-six men’s teams including Toronto’s John Epping, Winnipeg’s Reid Carruthers, and Edmonton’s Brendan Bottcher will be battling for their share of the $42,000 purse. Four-time world champion Glenn Howard (Penetanguishene, Ont.) and Olympic gold-medallist John Shuster (Duluth, Minnesota) round out the men’s side in the triple-knockout event. Meanwhile, on the women’s side Krista McCarville (Thunder Bay, Ont. ), Jacqueline Harrison (Toronto, Ont. ), Kristen Streifel (Regina), Hollie Duncan (Toronto), and Kerry Galusha (Yellowknife) are all competing in the 20-team field. The women’s event will play in four pools, and play a four-game round robin to reach an eight-team playoff. They’re playing for a share of $20,000.